I'm a fan of TCRF, and was slightly disappointed to not see a LGPE article on it. Thus, I decided to add some stuff that I've decided to look into, that would make sense on such a page. 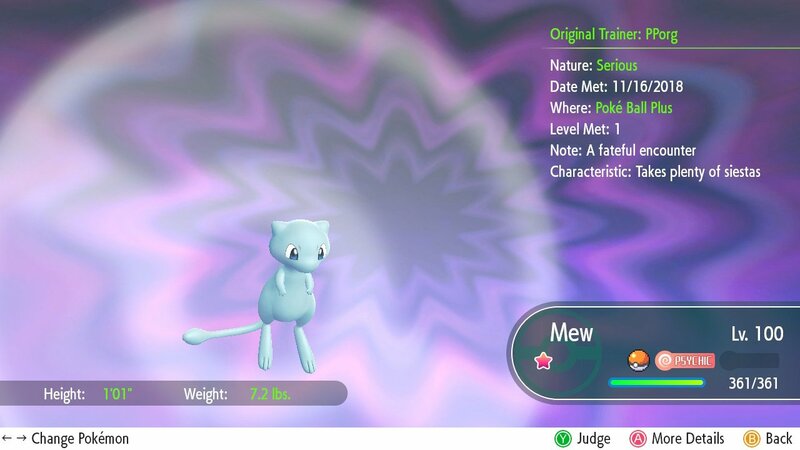 As Mew was only distributed presently as a non-shiny, and Meltan & Melmetal were distributed as non-shiny in Pokémon Go, these presently cannot legitimately exist in the games. 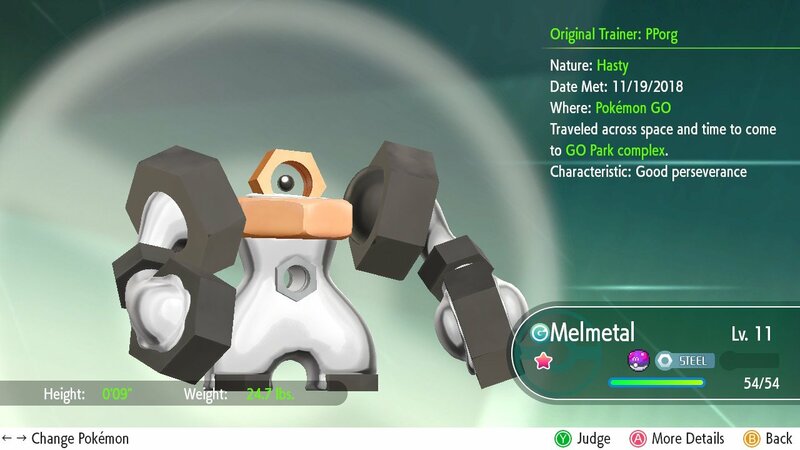 edit: As of February 5th 1PST, Shiny Meltan (and thus Shiny Melmetal) was released in Pokémon Go. 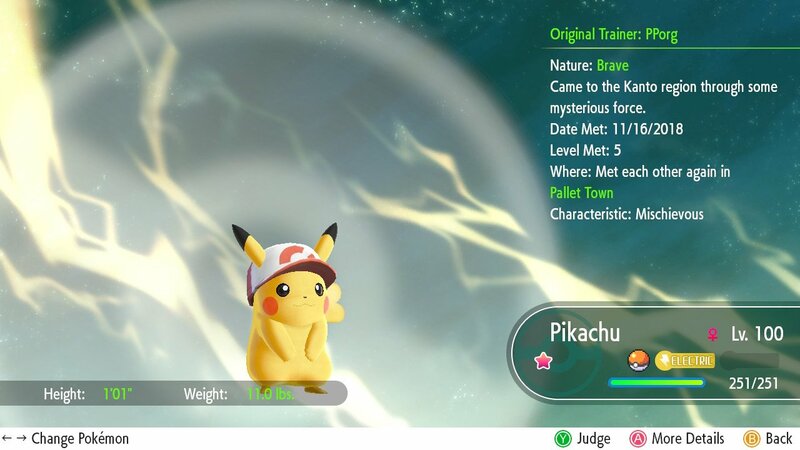 akin to Cap Pikachu in Pokémon Sun & Moon and Pokémon Ultra Sun & Ultra Moon. (The cap on their head, is the cap my own partner is donning. There's a huge list of moves that are presently not in the games. While I have not collated such a list, it's important to note that the game itself apparently has a "blacklist" of such moves (or alternatively, they have a whitelist of acceptable moves). 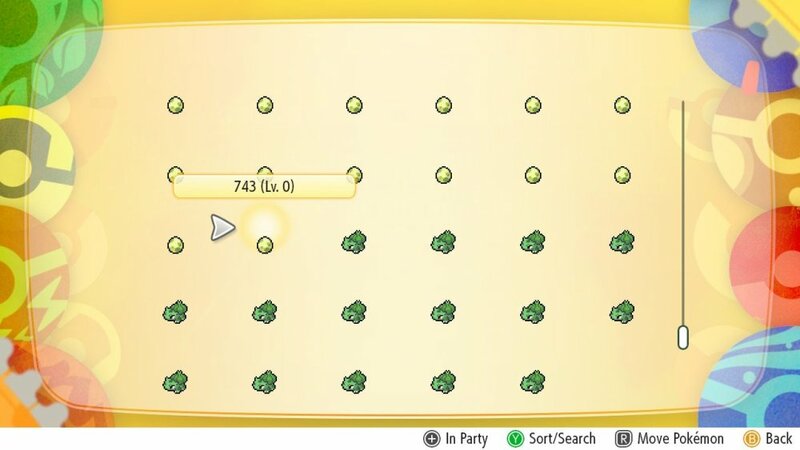 In any case, hacking in an unobtainable move results in the Pokémon becoming an egg, which pretty much nothing can be done with it (not too different from Bad Eggs from previous generations). 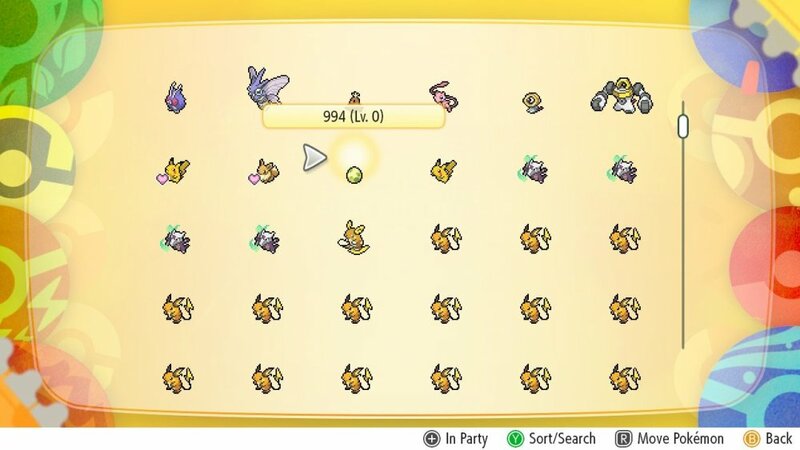 Left is a screenshot from the games, and right is how it looked like in PKHeX. 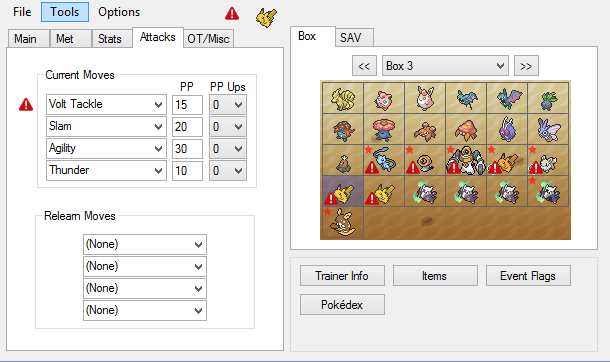 In this case, the move I hacked in was Volt Tackle. 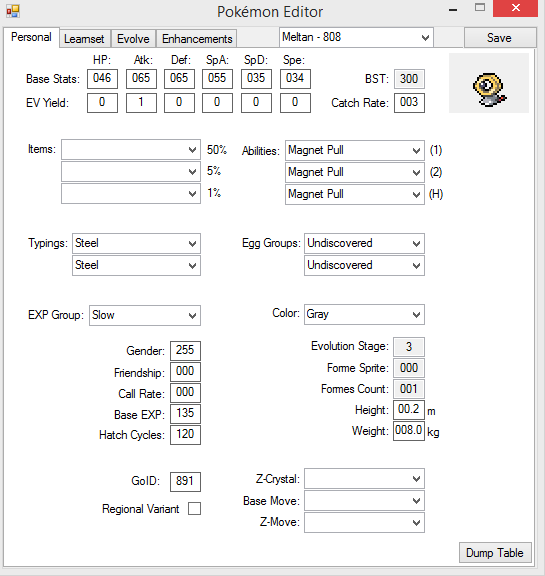 by checking whether your creatures turned into bad eggs. 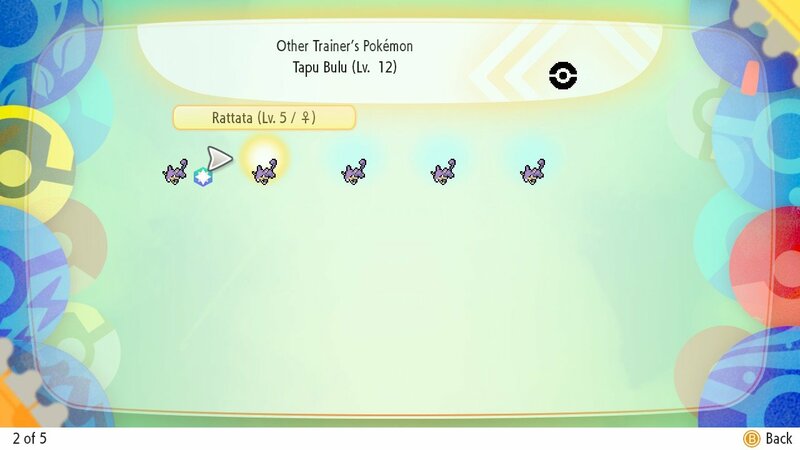 The bottom shows the list of moves in the game, and the red background shows that the move is not available. 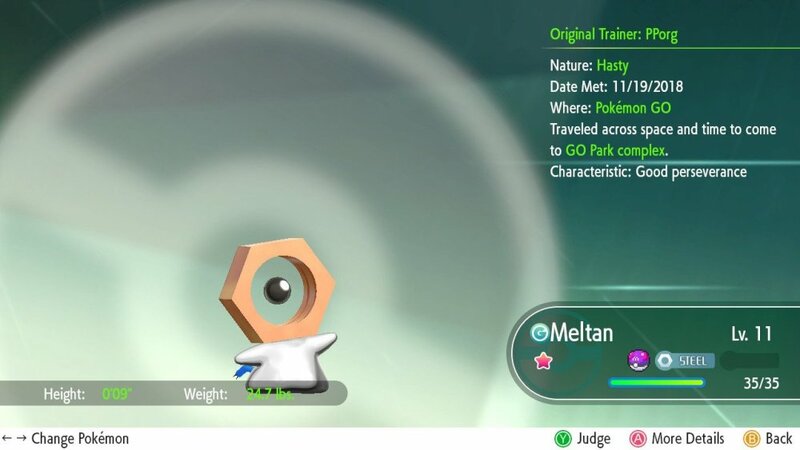 Together with the creatures introduced in Pokémon Ultra Sun & Ultra Moon, information like Abilities were actually already programmed into the games, including abilities for Meltan & Melmetal. While these do look like the potential abilities for them, remember it isn't the first time GameFreak changed unused abilities. 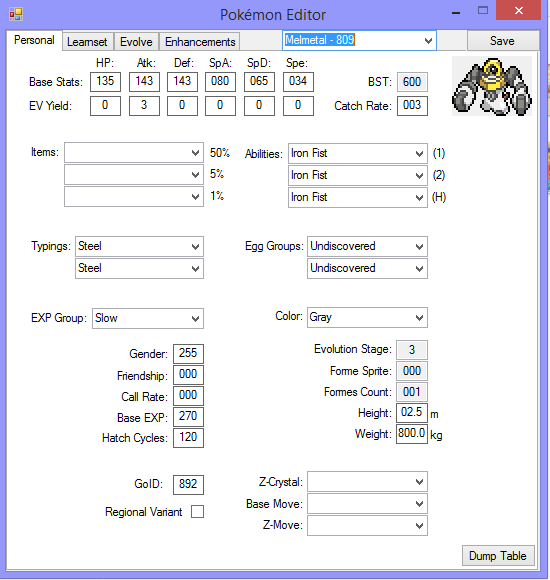 Raikou, Entei & Suicune had their abilities of Volt Absorb, Flash Fire and Water Absorb respectively, all unused in Gen V-VI, changed to Inner Focus in Gen VII. 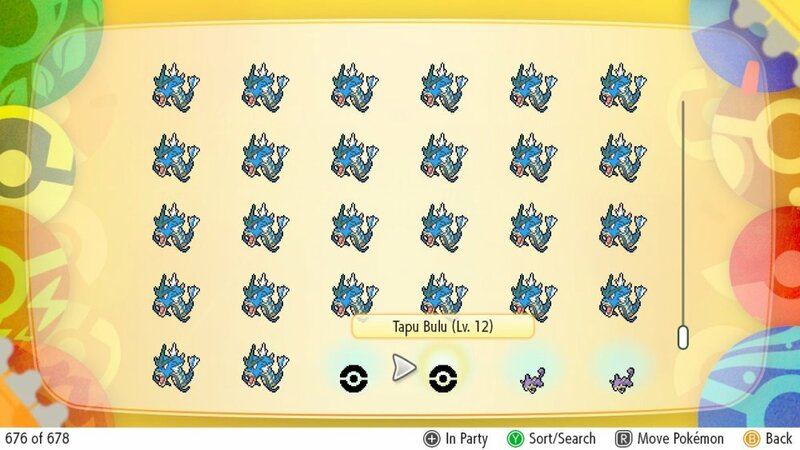 I was modifying trades, trying to find if there's a particular byte that forces shininess (which BTW there doesn't look like there is), and I accidentally forced my trade to return a Tapu Bulu. Of course, the 3D models itself wasn't programmed into the game, and we know that it's data is left over in personalinfo, however the game sent me something interesting. 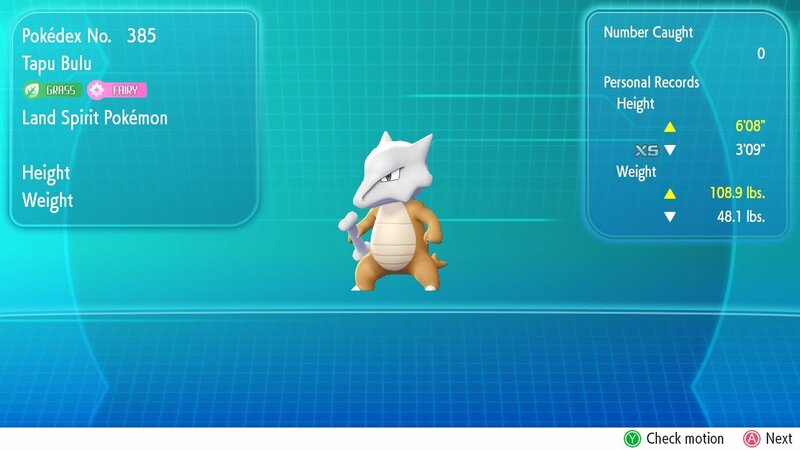 It's interesting, that the name, typing and species name remained the same (presumably cause it pulled the information straight from the personalinfo). 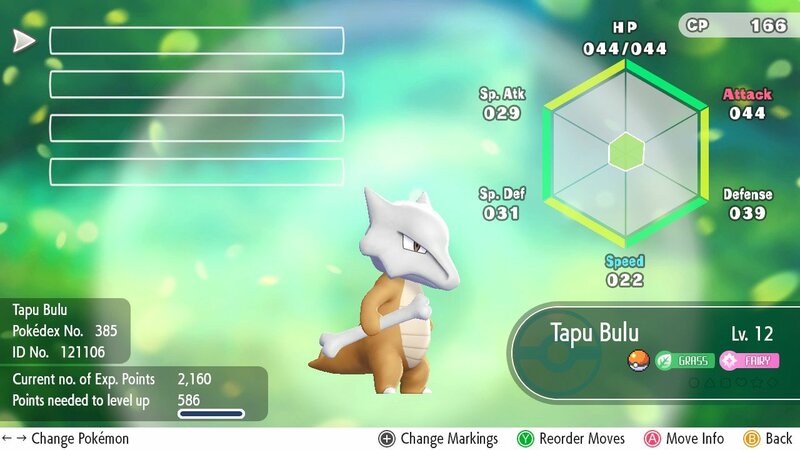 Given that hacking in unused moves will cause the Pokémon to become an egg, I would imagine hacking in an unobtainable mon without moves will allow it to be viewed, much like the "Tapu Bulu" the game traded to me. 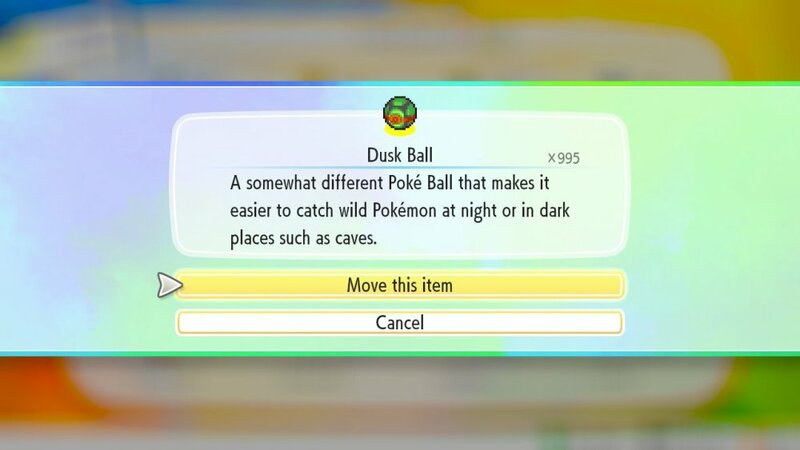 There's a large of items that go unused in LGPE, mostly because there's no held items in these games. 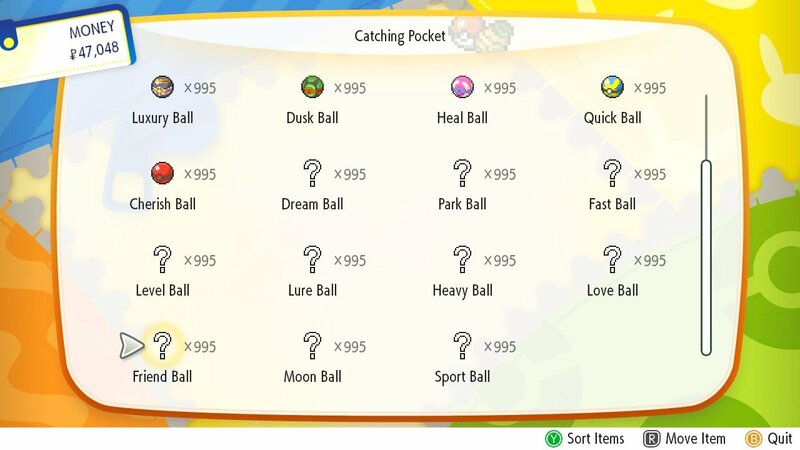 Beyond that, there's also a huge list of capturing balls not used. 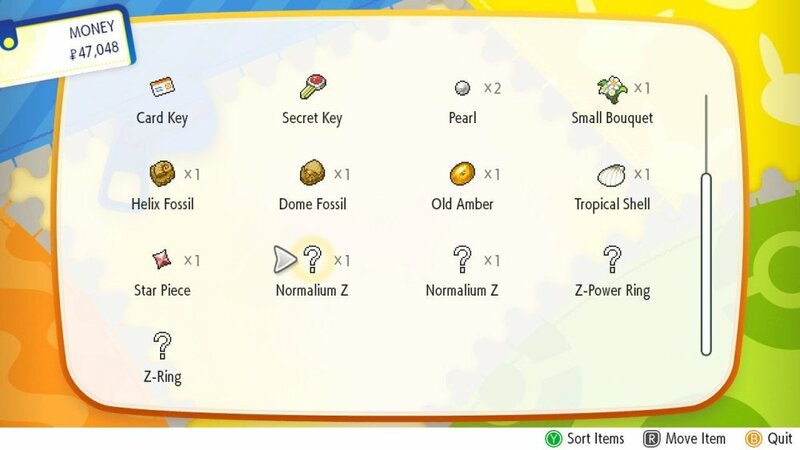 Their descriptions in the Item Menu also seems fully intact. Do note, attempting to use such a ball (whether it has an icon or "?") will cause the game to hang and crash the Switch. Maybe the non-dummied out items have planned distributions in the future? One can hope. In any case, having an unused Ball doesn't turn them to eggs, unlike adding unobtainable moves. 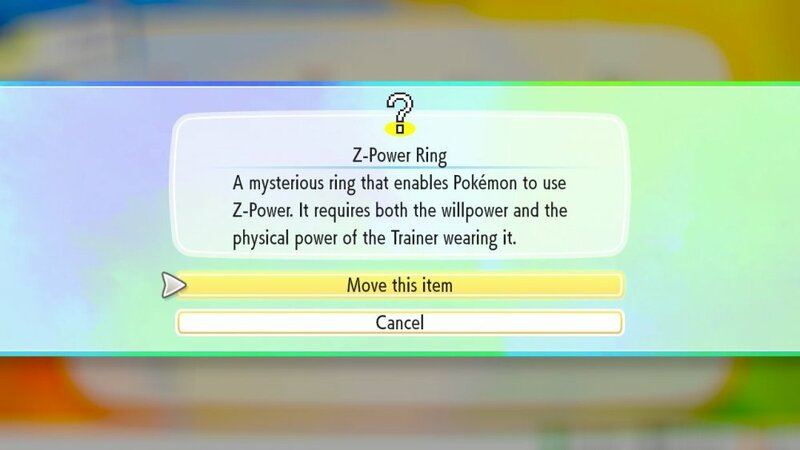 Additionally, items like Z-rings and Z-Crystal (obviously) doesn't serve any purpose in these games, and appears unused/dummied out. Their descriptions seems untouched, though. Interestingly, using a Pokémon that is inside a Safari Ball causes the game to become unresponsive, eventually triggering a "crash error" on the Switch. Using a Pokémon in the other balls allows the game to function normally, however the throwing animation depicts a Poké Ball. however I'm doubtful at this moment. these creatures cannot be forced as encounter in normal routes. Inclusive of other unused creatures in these games, hacking them in (using pkNX for example), will result in them not showing up. 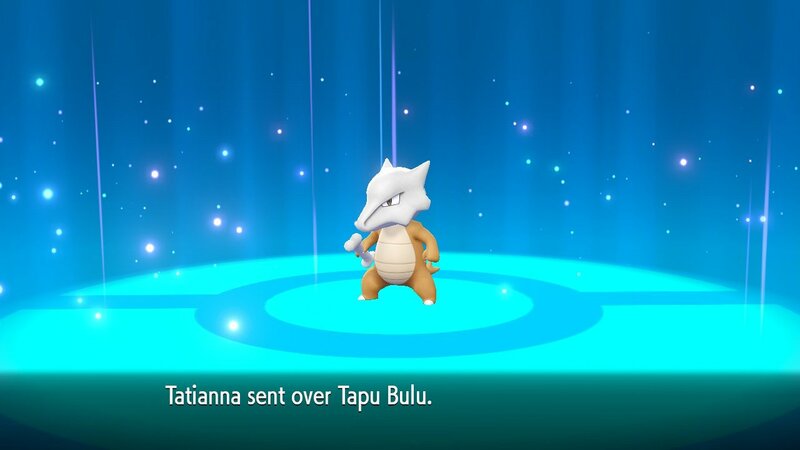 For example, if you fully replace your route encounters with Meltan, simply nothing appears on that route. Meaning, only the original 151 can be encountered outside of Go Park Complex. At this point, only 00, 04 (Mythical) and 20 (Birthday) has been used. These are obviously not leftovers from SM USUM, as the text is a helluva shorter. Interesting to note, 09 states Hidden Ability Gift. or perhaps it hints at a future distribution for LGPE. 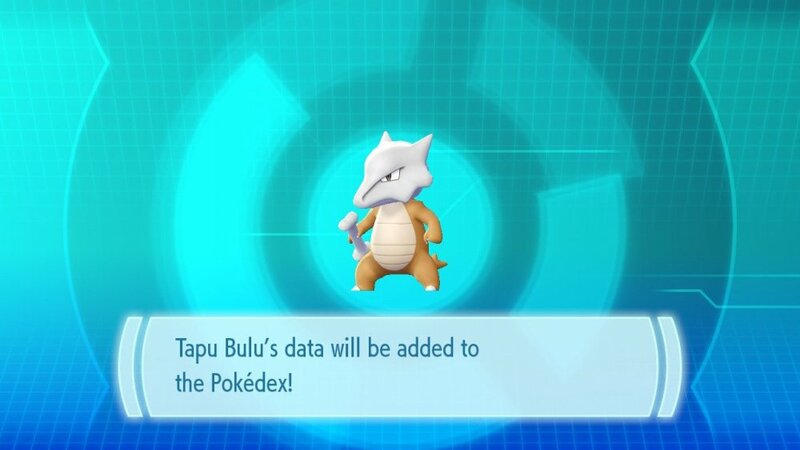 After all, ability info are stored in PB7 files, despite the game not referencing them. 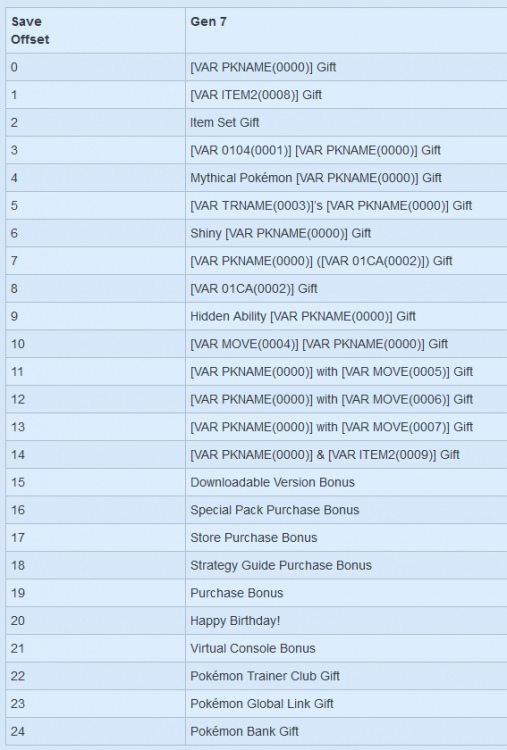 It is plausible that they'll distribute an hidden ability gift, meant to promote Gen 8.
then they could give players of LGPE an Hidden Ability Gift, even if it makes no difference in LGPE players on the surface. Can't get WC type 14 to function properly. 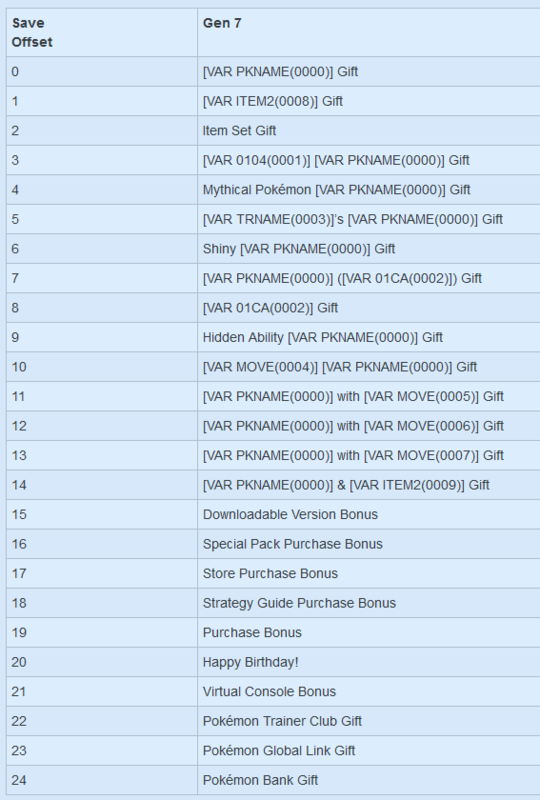 Keep getting "Mew & None Gift" (Mew intended, None unintended). When I swap past an item entry, the None get's updated to the third item. 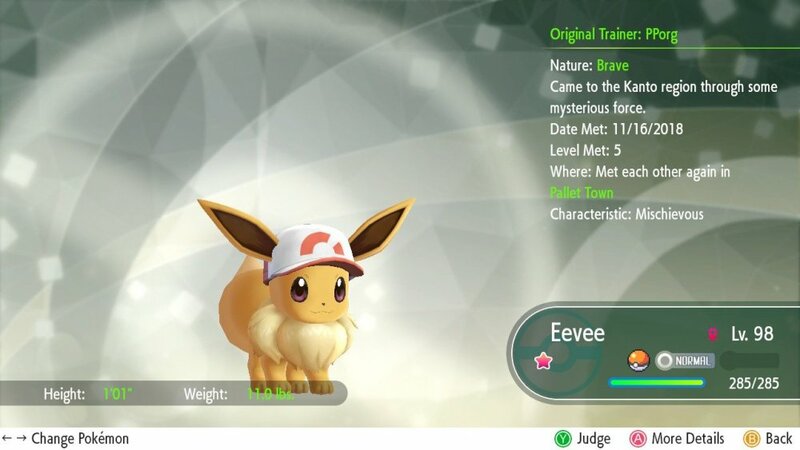 Maybe this type is a remnant of Gen 8's system? WC type 10 seems to work as per normally, however can't get WC type 11 to 13 to function, even after various tests. I have concluded that it is possibly leftover/unused, as those 3 entries were phrased different from WC type 10, on top of the "not working" issue. Either that, or there's a byte that controls the amount of moves a Pokemon has, and I'm clearly missing it.